WASHINGTON – Donald Trump Jr. was being interviewed Wednesday in private as part of the House intelligence committee’s investigation into Russian interference in the 2016 election. 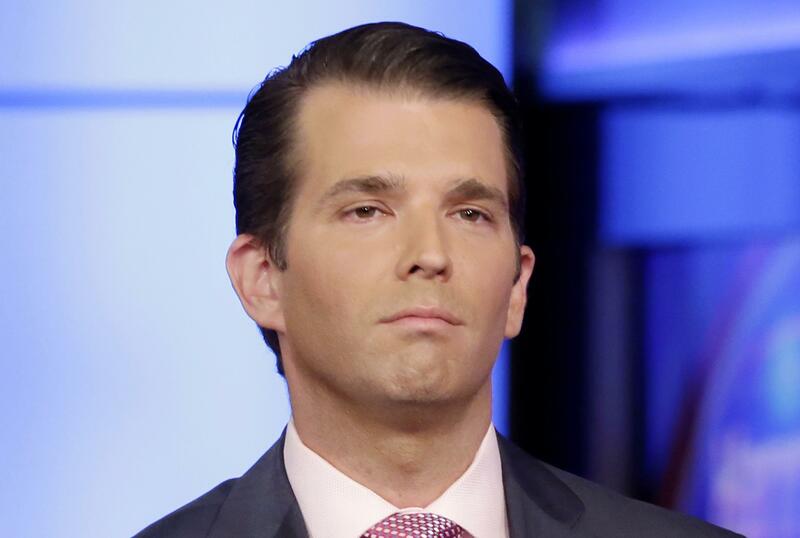 The interview with President Donald Trump’s eldest son comes as both the House and Senate intelligence panels are investigating a meeting that Trump Jr. and other Trump campaign officials held with Russians last year. They’re also interested in messages Trump Jr. exchanged with WikiLeaks, the website that leaked emails from top Democratic officials during the campaign. The interview was behind closed doors, and Trump Jr. arrived out of sight of cameras through a back entrance. The Senate intelligence committee also hopes to interview Trump Jr. before the end of the year. He has already spoken to the Senate Judiciary Committee, which is also investigating the meddling. In emails ahead of the 2016 Trump Tower meeting, Trump Jr. enthusiastically agreed to the sit-down with Russian lawyer Natalia Veselnitskaya and others after he was promised dirt on his father’s rival, Democrat Hillary Clinton. Trump Jr. has since denied such material ever materialized. In the closed door interview with Judiciary staff in September, Trump Jr. cast the meeting as simply an opportunity to learn about Clinton’s “fitness, character or qualifications,” insisting to investigators that he did not collude with Russia to hurt Clinton’s campaign against his father. People who attended the 2016 Trump Tower meeting have made several appearances before congressional committees investigating the Russian interference. President Trump’s son in law, Jared Kushner, has spoken to both intelligence committees. The panels have also interviewed Ike Kaveladze, who was at the meeting as a representative of a Russian developer who once partnered with Trump to bring the Miss Universe pageant to Moscow, and Rinat Akhmetshin, a Russian-American lobbyist. A translator who was in attendance has also spoken to investigators. Trump Jr. is likely to be asked about the White House response to the first reports of the meeting. The White House has said the president was involved in drafting a statement saying the meeting primarily concerned a Russian adoption program. Lawmakers are also expected to ask him about his communications with WikiLeaks during and after the campaign. Trump Jr. released messages last month that showed him responding to the WikiLeaks’ Twitter account three times, at one point agreeing to “ask around” about a political action committee WikiLeaks had mentioned. He also asked the site about a rumor about an upcoming leak, and tweeted a link that the account sent him. Published: Dec. 6, 2017, 9:25 a.m.